See also: the Syrian Girl Partisan's new web-site at syriangirlpartisan.blogspot.com, Anti-Syria camp taken aback by high voter turnout among Syrian expatriates (31/5/2014) on candobetter and linked articles. In late May 2014 the Syrian Girl debated on UK's Islam TV the legitimacy of the recently concluded elections. She debated on-line from Australia, two supporters of the terrorist insurgency who were present in a London studio. Whilst the moderator deserves credit for allowing the Syrian Girl to put her view, he also showed himself to be biased in favour of the insurgency. In the limited time available to her, the Syrian Girl again showed a very good grasp of the complexity of the Syrian conflict and effectively rebutted the claims made by the other two participants. 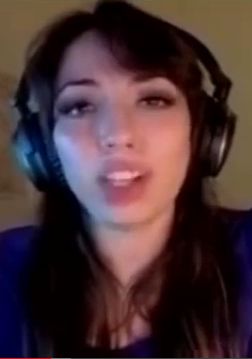 Bad news about youtube's robo-cops making wrong judgements on her posts, with no appeal.